This afternoon, I had the joy of being at the wonderful Pilgrim Theological College and to share some words at the launch of Geoff Thompson’s fabulous new book, A Genuinely Theological Church. Below’s what I said, more or less. Thank you to Geoff and to folk here at Pilgrim for the kind invitation and privilege to be here today to help launch Geoff’s latest book, A Genuinely Theological Church. 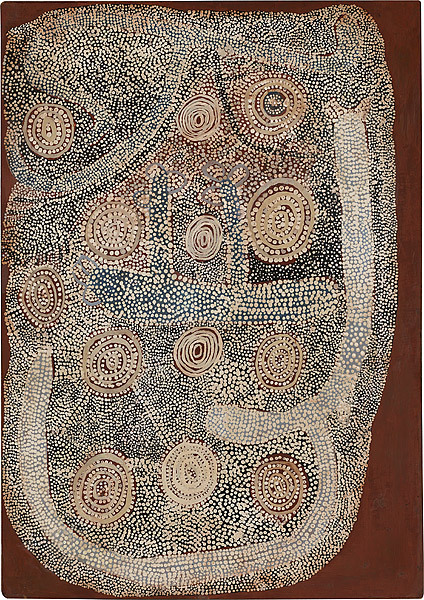 I wish to acknowledge that we meet on Wurundjeri land, of the Kulin nation with whom there have yet been no treaties and whose sovereignty has never been ceded. I pay my respects to any elders past, present, and emerging who may be here among us. Well, what a wonderful gift to the church Geoff Thompson is! He keeps summoning us to love God and neighbour with our minds, and does so without the levels of anxiety that tend to characterise a great many church discussions. As an expression of Geoff’s love for the Uniting Church, this very timely book is an invitation to develop an explicit rationale for the study of theology in ministerial education. It is also an invitation to the church to understand itself as a theological community, ever renewed by rediscovering its life rooted ‘within the history of Jesus Christ’ (72). It is difficult to imagine anyone better placed to write such a book. It reflects the wisdom of one who has wrestled long with questions about ‘the highly contested nature of theological education in the Uniting Church’ (7) and beyond. Geoff maps the recent history of theological education against the background of ‘almost incalculable’ (23) cultural and intellectual change in the global church, and he calls upon the church to not retreat from but rather to engage with such realities with the full resources of the Gospel. To this end, Geoff argues that theological colleges ought to be located in ‘larger communities responsible for developing a culture of debate, research, resourcing, advocacy and public engagement’ (68). He laments that while the demands, orientations, and contexts of ministry and of ministerial training have changed, there has been very little reflection on the role of theology in the church, and about why theology should assume the constant place it does. He surmises that this ‘suggests that we’re convinced that theology is important, but we’re not entirely sure why’, and that this absence of clarity means that ‘theology tends to become little more than a hoop that must be jumped [through] on the way to something else’ (24). 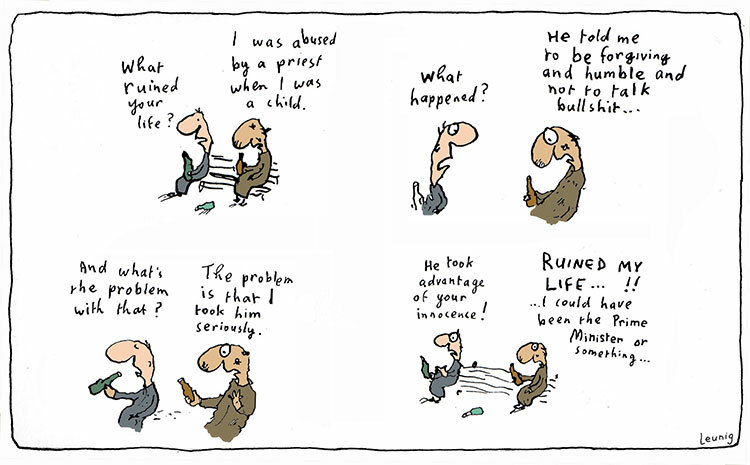 He accepts that ‘theologians … have to take some of the blame for this situation’. ‘We have’, he says, ‘been either too defensive or … too confident that people will simply know what to do with a theological education and that the church … will know what to do with its theologically-educated leaders …. who are often appointed leaders for their expertise in other areas’ (25). Geoff wants us to scrutinise what he and other theological educators have been doing, to ask if we have gotten the ‘questions about theological education right’, and to interrogate that question ‘with meaningful criteria’ (7–8). Drawing upon the extraordinary witness of the Basis of Union, he invites us to reflect on more basic questions, like: why does the church bother with theology at all? Indeed, why is there a church at all? What is this strangely ‘embodied way of life sustained and normed by the novel message of the gospel’ (9) of which Geoff speaks? Of course, Geoff has been talking about this stuff for a long time. Some might say that he has a bit of ‘thing’ for it. Indeed, in an article in this month’s Crosslight he again advances the claim that ‘theological education is not about developing a theological “position”’ but is, rather, ‘about shaping a theological imagination. 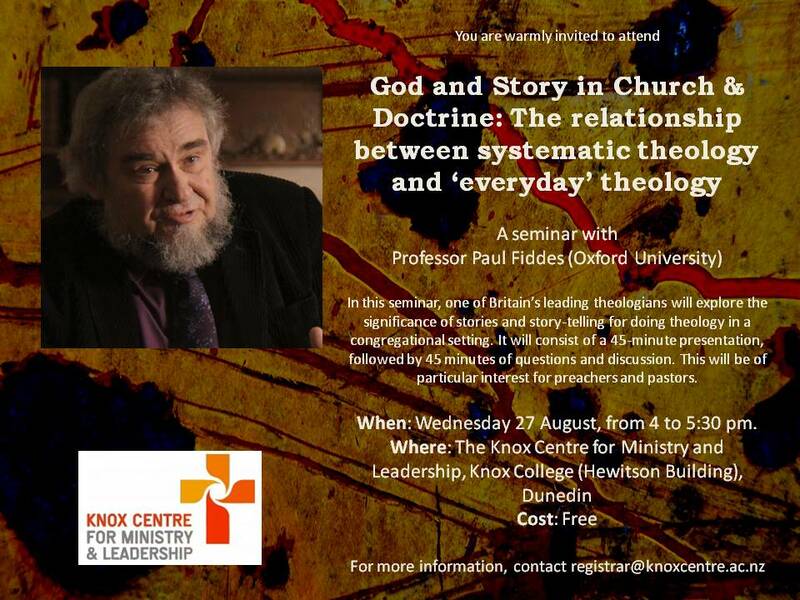 It involves learning to see and experience God [and] the world … through an ongoing critical but constructive engagement with the tension-filled biblical material, an immersion in the ebb and flow of the history of Christian doctrine, and a ruthlessly honest familiarity with Christianity’s history and its diverse practices’. This book too is a call to see in the ordinary work of theology that which cultivates the church’s ‘collective imagination’ (73). It therefore rejects as unhelpful the ‘sharp contrast between scholarship and practice’ (14) as, in Geoff’s words, ‘a furphy’ (27). He laments ‘the ease with which’ members of the Uniting Church have allowed ‘scholarship to define theology’, or to ‘reduce theology to scholarly theology …. Theology … is much larger and far more important to the church than its scholarly forms’ (15). The reduction of theology to the purview of church ‘ministry’ – whether lay or ordained – is another part of the problem that Geoff is keen to diagnose. He does not follow the worn path of thinking that ‘everyone is a theologian’, however. Indeed, he judges this to be ‘one of the more unhelpful slogans at play in the Uniting Church’ (43). Instead, he argues that the theologian is one who ‘relates to particular features of the social imaginary by attending in an explicit way to what otherwise remains implicit’ (46), and who does so with attention to biblical texts, to analysing historical doctrinal developments, to debating contested interpretations, to generating constructive theological proposals, to writing and presenting papers and preaching sermons about such matters, and to critically articulating the faith in public fora (42–43). Geoff’s reference to theologians clearly preferences those whose work is concerned almost exclusively with words. 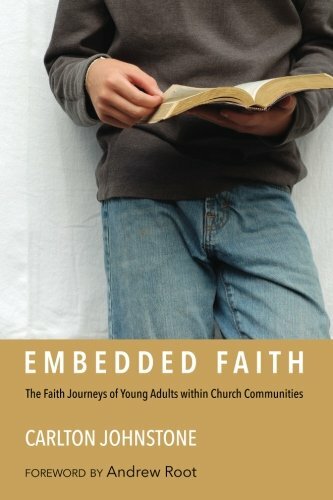 If I was to venture a small criticism of this terrific book, it would be that it might have donated more ink to the ways that words do not exhaust the making explicit what otherwise remains implicit; that engagement in the joyous burden of enquiry and witness to the hope born of a faith that Easters us is not done with words alone. Yes, theology does much of its critical work through ‘exegesis, analysis, construction, writing and debating’ (50) and so on, but unlike work on say dogma and doctrine, theology does these with more than words. What of cultural myths, ritual, image, architecture, time, music, hospitality? I wish that Geoff had also explored some such ways in this book. For those, like Geoff and myself, committed to serving God through the atmosphere of the Reformed project, the dynamic and free character of the living Word is as uncompromising a priority as is the hope that faith communities are ever born through its hearing. But it is very easy to be blind-sighted by such a commitment. Edwin Muir’s criticism of King Calvin’s kirk comes readily to mind. Muir, a Scottish poet, spoke of how ‘the Word made flesh … is made word again’, exposing an enduring proclivity in Reformed Christianity to attempt to secure the truth of the Gospel through words alone. A Genuinely Theological Church is a welcome challenge to those faith communities still breathing late-Christendom air to imagine that the church’s ‘validity is derived [solely] from its availability to Jesus Christ’ (29–30). It is this that assists the church to counter the ever-present temptations of abstraction and domestication. And it is this, primarily, that makes the Christian community to be stranger than we hardly ever dare imagine. How fitting, for its sole existence is to bear witness to the peculiarity of God’s own strangeness among us in Jesus Christ. This is part of the novel gift that the ‘decline of Christendom allows us in the West’ (34–35). And it is theology’s role, Geoff believes, ‘to help shape the church’s collective imagination around’ this strange and novel story of the crucified God ‘with which Christianity launched itself into the world’ (38). Geoff believes that this calls for ‘leadership which is embedded in a post-Christendom [or we might be better to say late-Christendom] theological imagination which can articulate and shape the Christian faith in the midst of the other social imaginaries that make up the cultural plurality of Australian society’ (82). Geoff’s book made me pause and ask myself the question: What would it take for the UCA to produce another kind of Davis McCaughey, but for today’s Australia? To be asked to minister without an informing vision of God (which is what theology is really all about) … is like being told to make bricks without straw …. We cannot evade discussion of issues of finance, resourcing, and patterns of ministerial education. Yet there is a risk that we may fail to ask the right questions – particularly if we allow the institutional needs of the Church to trump the spiritual and pastoral needs of congregations, or lose sight of the importance of a theological vision in inspiring and sustaining Christian ministry.Geoff’s book is concerned to articulate and to invite engagement with many of these ‘right questions’. You know, many scholars write excellent fat books. Very few get read. Many, however, do a most admirable job at elevating computer monitors. Geoff’s book would make a useless computer monitor stand! A few years ago, when Julian Barnes’ short novel The Sense of an Ending won the Man Booker Prize, readers and critics were reminded that form matters as well as content. At 88 pages, A Genuinely Theological Church frees its readers – and its author – of the burden of being comprehensive. Like Walter Benjamin’s 38-page The Work of Art in the Age of Mechanical Reproduction, or Helmut Thielicke’s A Little Exercise for Young Theologians, Geoff’s fabulously-hobbit-sized book doesn’t need to pretend that it’s the only material its reader has at hand. Of course, short books are only very rarely indeed a substitute for more complex works that advance challenging arguments. But they can certainly delight in piquing curiosity and in provoking further thought, and perhaps even action. Geoff’s book seeks such ends, and for that the church is again truly in his debt. Geoff Thompson, A Genuinely Theological Church: Ministry, Theology and the Uniting Church (Reservoir: Uniting Academic Press, 2018). While Geoff properly resists the temptation to commit on other parts of the church, the relevance of this book clearly extends beyond the bounds of the UCA. Geoff Thompson, ‘Forming Disciples – Theologically’, Crosslight, June 2018, 18. Edwin Muir, ‘The Incarnate One’, in Collected Poems (London: Faber and Faber, 1960), 228–29. Malcolm Guite, Faith, Hope and Poetry: Theology and the Poetic Imagination (Farnham: Ashgate, 2010), 11. The judgement that we are living in a ‘post-Christendom’ context is debatable in my view and, as Geoff notes, a not-entirely-accurate description of the Australian scene. Geoff is right to argue that ‘a simplistically-formulated faith, and a faith reflected on only simplistically, will betray its own substance’ (39). Unremitting and unqualified silence is not a final option for those called to discipleship in the world because such would mark a retreat into pure subjectivity at the very point when those so called find themselves already committed to the world. But as Kierkegaard diagnosed in his own context, the most carefully parsed words offer no guarantee that the truth of Christianity might be rendered more or less meaningful. Alistair E. McGrath, ‘It’s the theology, stupid’, Church Times, 17 April (2015), https://www.churchtimes.co.uk/articles/2015/17-april/comment/opinion/it-s-the-theology-stupid. It really is an incredible time to be thinking about and learning from Dietrich Bonhoeffer, that pastor and teacher who from a life cut short over 70 years ago left us a profound vision of what it might mean to speak responsibly of ‘God’ and of ‘the world’ in the same breath, and to be Christian community in one of the most violent and unstable and disenchanted times in recent human history. Rather than seek to escape such realities, Bonhoeffer believed that to follow Jesus is to be thrown ever more deeply into them, into the darkness. He taught us that the first place to look for Christ is in hell, and that it is ‘only by living completely in this world that one learns to have faith’. It is only by ‘living unreservedly in life’s duties, problems, successes and failures, experiences and perplexities’ that, he said, we ‘throw ourselves completely into the arms of God’. And this means, for Bonhoeffer, that ministers of the gospel are ‘not to simply bandage the wounds of victims beneath the wheels of injustice’ but rather are called to ‘drive a spoke into the wheel itself’. It is not wholly surprising that Bonhoeffer is one of the most beloved and most misunderstood Christian thinkers of the twentieth century. His thought is the subject of a growing body of research as a new generation of Bonhoeffer scholars discover parts of his thought that speak most pressingly to contemporary concerns. Among those scholars is Andy Root whose main contribution to that research has been to draw our attention to the ministry that Bonhoeffer undertook with and among young people, especially between 1925 and 1939. A few week’s ago, Whitley College was delighted to host Andy for the first of its public lectures for 2017. His lecture, titled ‘Dietrich Bonhoeffer as Youth Worker: Exploring the Interaction between Ministry and Theology’, explored some aspects of Bonhoeffer’s work among young people, and enquired how Bonhoeffer’s insights might inspirit our own ministries in whatever contexts we are engaged. ‘It is a paradox that the one thing a “Church leader” cannot very often do is to lead. He [or she] sees [their] task more as one of preservation. Not always, I agree, but often enough to make the Johannine Caiaphas intelligible not as providing a shallow excuse for anti-semitism but for understanding the ultimate tragedy of Jesus of Nazareth’. Coming to the end of a formal pastoral leadership at Box Hill Baptist Church creates a moment to reflect upon ministry as it has been experienced in the local church context, and in my involvement in theological education within the formal educative process. Often this may have appeared to be a dance between separate spheres of academic theology and its practical outworking that could be at best considered a tension, and at worst placed as polarities. However, for me the concluding of formal pastoral leadership responsibilities does not mean that my love for the church as it strives to express the love of God in the world will stop. It continues, albeit in a different mode but contributing to both in ways that hopefully serve the realm of God expressed locally and more broadly. For many years, I have lived out a model of ministry that sought to apply academic thought to practice by intentionally considering how academic thinking informs my practice, and, in turn, how my practice prompts more rigorous examination and understanding. The conversation between the two has provided a rich base for ministry, with experience informing theological thinking and the resources of the academy enriching my pastoral practice. I’ve delighted in that interesting dialogue that takes seriously the challenges of engaging with people, religious systems, and social phenomena, and that seeks to reflect theologically upon them. And, in truth, I’ve never been tempted to see this conversation as a one-sided one. We need the academy to distil the social data, the sources of our tradition, and the richness of our text. And the academy needs the practitioner to ask the questions, to prompt the exploration, to seek understanding. This has never been an either/or approach. The academy and the practice of ministry delight together in a dance that rises and falls, seeking to catch the rhythm of God with us. Often when we turn our attention to intentional rigorous thought, searching to make sense of the many conundrums that come our way in ministry, we shy away from thinking of this as academic research. But to truly grapple with issues that lay before us, we need to understand deeply and fully as much as we can. If ministry on the run is our sole approach, we are likely to run full headlong into complex situations that have been over-simplified or run away from the opportunities for rich learning and engagement that will inform how we live. I’ve needed the rigor of the academy to make sense of my practice, to stimulate my thinking, and to prompt me to extend my ideas and practice. But there is a compromise of resourcing and time. Trying to be abreast of the most current thinking, responding thoughtfully and intelligently to trends and contemporary questions, requires thinking through the implications and considering fresh paradigms of thought with as much energy as we can gather. We need the means of gathering that research and the skills to interpret it within our contexts, and we need people who have those skills and the time to support us in this endeavour. Of course, we are all practitioners. We engage in community life with real people seeking to live well in God. We are practitioner-theologians in one sense. That said, we can’t all be on top of everything, and if we are to delight in new discoveries and to be open to new insights in our learning, then time and space need to be available for this. If I’m honest, even keeping up with the latest research is a challenge, let alone contributing to it! As my formal ministry leadership role in a local church comes to an end, the question may be asked if I have sold out to the desire to live in books and ideas? This is not only a simplistic view of the Academy; it is flawed. Just as I’ve needed the rigor of academy to offer input and clarity along the way, so too I will need the community of God to raise up some of the questions that are important and that need to be explored. We all need people who have the capacity to discern clearly and to think deeply about important subjects that inform our living. I am committed to informed and integrative learning as the way forward for our churches and our formational programs. And being informed requires thoughtful, intentional, attention to research and discovery. I’m excited to be a part of a team who are committed to doing this together. Ed. Some related posts can be read here and here. This all seems to ring true for women clergy too, for whom I’m sure that a number of further statements might be added. I’m not confident, brave, or stupid enough to speak for them, but invite their comments below. On a more serious note, I’m really glad that pastors can’t win. Their job is, after all, meant to be impossible. How superficial and flippant, especially of theologians, to send theology to the knacker’s yard, to make out that one is not a theologian and doesn’t want to be, and in so doing to ridicule one’s own ministry and ordination and in the end to have, and to advocate, a bad theology instead of a good one! The primary task of the ministry of the Word and Sacraments is to enable the upbuilding of the church in such a way that it is always pointed beyond itself to the reign of God in Jesus Christ in the midst of the world. Its task is to keep the People of God mindful of the tradition of Jesus, crucified and risen, and what this means for their lives and the praxis of the church today. Its task is to enable the church to be faithful to its identity as the People of God in the world, discerning who God is and what God requires of them. In this way the ministry of the Word and Sacraments is, literally speaking, church leadership because it provides theological direction for the mission of the People of God in the world. Theology would be an utter failure if it should place itself in some elegant eminence where it would be concerned only with God, the world, man, and some other items, perhaps those of historical interest, instead of being theology for the community. Like the pendulum which regulates the movements of a clock, so theology is responsible for the reasonable service of the community. It reminds all its members, especially those who have greater responsibilities, how serious is their situation and task. In this way it opens for them the way to freedom and joy in their service. With my doctorate, I at first felt a fool standing in the pulpit in front of this farming congregation. But earlier I had lived with workers and farmers in ‘the hard school of life’, and it was out of these experiences that I preached, not from my Göttingen lecture notes. This congregation taught me ‘the shared theology of all believers’, the theology of the people. Unless academic theology continually turns back to this theology of the people, it becomes abstract and irrelevant. For the fact is that theology is not just something for theological specialists; it is a task laid on the whole people of God, all congregations and every believer. I only got into difficulties when I used the same sermon for the student congregation in Bremen and the farmers in Wasserhorst. The farmers were not interested in questions about the meaning of life and were not going through any adolescent orientation crises. They trusted in God and loved the Ten Commandments. When my elders rolled their eyes, I knew that I had lost them. So they guided me and preached to me. My own personal theology developed as I went from house to house and visited the sick. If things went well, on Monday I learnt the text for the following Sunday’s sermon, took it with me as I visited the congregation, and then knew what I had to say in my sermon. Here a ‘hermeneutical circle’ developed, not the one between textual interpretation and one’s own private interpretation, as in Bultmann, but the one between textual interpretation and the experience of a community of people, in their families, among their neighbours, and in their work. In conversations, in teaching, and in preaching I came to believe that this was a shared theology of believers and doubters, the downcast and the consoled. So McGrath: ‘It’s the theology, stupid’. Next week, Dunedin will host Professor Deborah van Deusen Hunsinger. During her stay, she will deliver a public lecture (details below). 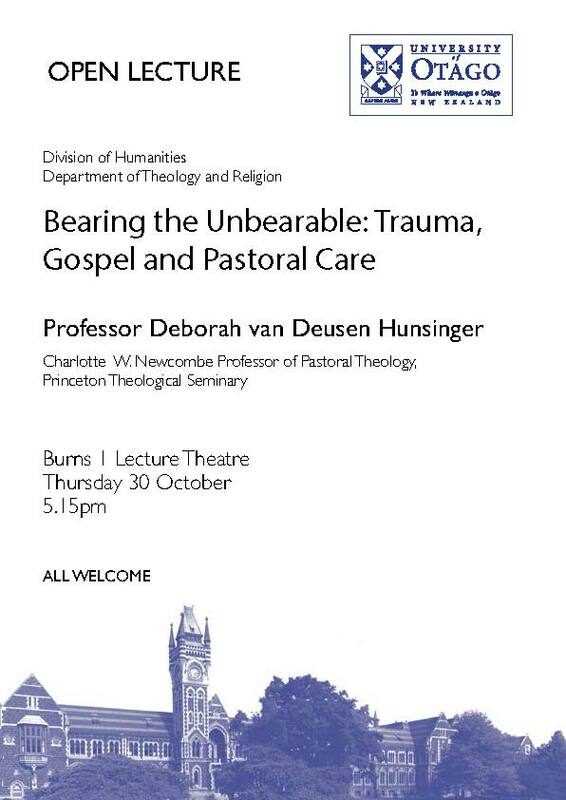 If her books on pastoral care be any guide, this will be a ‘Do Not Miss’ event. If you are in Dunedin, I strongly encourage you to come along and, in the meantime, to help spread the word. We are not ordaining you to ministry; that happened at your baptism. We are not ordaining you to be a caring person; you are already called to that. We are not ordaining you to serve the Church in committees, activities, organisation; that is already implied in your membership. We are not ordaining you to become involved in social issues, ecology, race, politics, revolution, for that is laid upon every Christian. We are ordaining you to something smaller and less spectacular: to read and interpret those sacred stories of our community, so that they speak a word to people today; to remember and practice those rituals and rites of meaning that in their poetry address human beings at the level where change operates; to foster in community through word and sacrament that encounter with truth which will set men and women free to minister as the body of Christ. We are ordaining you to the ministry of the word and sacraments and pastoral care. God grant you grace not to betray but uphold it, not to deny but affirm it, through Jesus Christ our Lord. Amen. Last summer, I read a collection of Thomas Merton’s letters, The Hidden Ground of Love (New York: Farrar, Straus, Giroux, 1985). I was affected most deeply by some of Merton’s responses to the letters of then up-and-coming feminist theologian Rosemary Radford Ruether, exchanges that took place in 1966 and ’67, near the end of Merton’s life—he died in December ’68—and at the beginning of Reuther’s career. The correspondence begins with Ruether’s letter of August 12, 1966. She is grateful to have heard of Merton’s appreciation for an article she had recently published, and wonders if she might send him the manuscript of her work, The Church Against Itself. Their earliest letters are warm if lively exchanges, the friendly back-and-forth of kindred spirits. He’s direct about his struggles with Catholic hierarchy—“I do wonder at times if the Church is real at all … Am I part of a great big hoax?”—and he always writes under the assumption that she shares his vision and his experience. Early in 1967, however, Ruether delivered a few stinging criticisms of the monastic life. In the following few letters, he writes with an edge, attempting to correct what he takes to be her fundamental misapprehension of his vocation. At points he stops just short of out-and-out rebuke. Still, he never hides the fact that her criticisms open old wounds in him, wounds that obviously have not healed and are not healing. For example, in a letter dated 19 March, Merton remarks how he finds himself wanting to shake off his monastic orders, to make his way out to the “big-time struggle” in the world beyond his hermitage. Bluntly put, he wants to be “more effective” in real-world matters. He nonetheless insists that he cannot abandon his given way of life. To do so, he insists, would mark a “real betrayal of the Kingdom.” In his experience, most if not all of the monks who abandon the monastery in hopes of making a more significant impact in the wider world soon lose their way entirely. So, in spite of himself, he knows he’s not going to up and leave his post. A few weeks after (in a letter from 9 April), Merton seems to reach a kind of resolution, writing that he’s convinced he must pursue his own way, “marginal and lost” as it is, without any rationale or apology. The monk’s life, he says, is not supposed to be explained, only lived. But judging by the letters that follow, he hadn’t really convinced himself. Problem: unrecognized assumption of my own that I have to get out of here. Below that: recognition that life here is to some extent (not entirely) a lie and that I can no longer just say the community lies and I don’t. With that: sense of being totally unable to do anything about it that is not a feeble gesture. But the genuine realization that this is my vocation, but that I have not yet found the way of being really true to it. Rock bottom: I don’t know what is down there. I just don’t know. The monastic life, he acknowledges bluntly, is “an idol.” Not that he despises his fellow monks. They are “idiots,” he knows, but they remain nonetheless God’s idiots—and just so are his brothers, his responsibility. He recognizes that it’s his vanity that aches to belong to “a really groovy worldly in-group,” and he knows better than to surrender to such temptation. The solidarity required of him begins with loving these very idiots, many of whom have given themselves over to what he can see as this idolatrous form of the monastic life. Such a life, which he cannot but experience as “exile, humiliation, desperation,” he knows is nonetheless the chosen way for him—and better than whatever alternatives he might find for himself. I hang on in desperation to what I think I have been called to, trusting not in it but in the mercy of Christ, who knows better than I that it isn’t real, but that it is at least a choice. And there don’t seem to be more meaningful ones around, for me, all things considered. What sustained Merton through all of this “exile, humiliation, desperation”? Not mere resignation—although he certainly sounds fatalistic at times. No, I think he had in his depths some small but lively hope that God was in fact using his unsettledness somehow for his (and others’) good. He trusted, even against hope, that through this disquiet God was working to deliver him from damning fantasies and pretentions, saving him from delusions about the effectiveness of his work and from “wish-dreams” about the community to which he was called. He wanted to live free of such idolatries. And I think he tried at least to offer that kind of hope as a cry for mercy. Maybe there is a kairos coming, but I have no notion where or when. I am in the most uncomfortable and unenviable position of waiting without any justification, without a convincing explanation, and without any assurance except that it seems to be what God wants of me and that this kind of desperation is what it means for me to be without idols—I hope. Frederick Buechner has said that we find our vocation just at the point that our “deep gladness meets the world’s deep need.” For some people, perhaps, that turns out to be true. But at least for a few of us, vocation is not nearly so gladdening or fulfilling. For some of us, finding and living our calling feels at least at times like protracted martyrdom. If that seems unnecessarily dire—or “unhealthy,” as we are wont to say—we should perhaps recall the Lord’s response to Paul’s desire to have his “thorn” removed (2 Cor 12.7). I suspect that some of us simply cannot remain true to the gospel in any serious sense if we do not at least at times find ourselves “thorned” into desperation, if we are not riled by a sanctified and sanctifying discomfort. Like Merton, we won’t be free to find the truth of our calling—or to learn how to be true to it—without also facing how untrue it all feels to us. Maybe we’re never going to move into our vocation until we learn what it means to wait without justification or assurance in the fires of idol-destroying desperation? Perhaps such endurance becomes possible only as we’re wasting away on the margins of what seems most important? Maybe it’s only in exile that we find our way? Last spring, one of the graduating M.Div. seniors at Austin Seminary asked us professors for a list of books he should read “sometime in his life.” A heartening request, but it got even better. In the last few months, John has made it clear that he does not understand “sometime” to mean an ever-receding future in which he will (he hopes) have the time to read. On the contrary, John seems to think that “sometime” began the day after graduation. Last week, in fact, I received an e-mail which revealed that John is on schedule to complete five classics—by à Kempis, Bonhoeffer, Dillard, H. R. Niebuhr, and Moltmann—by this December. Inspiring, isn’t it? But here’s the catch: he has not yet taken a call. Will he be able to keep on reading, once he becomes a pastor? Pastors commonly lament that they aren’t able to keep up with the biblical languages. But in my conversations with pastors, frustration with keeping up with the theological literature is also conveyed. Frequent comments include: “There are just so many books out there—how do I know what to read?” “Why don’t theologians write shorter books? When I do have time to work through one, I feel like the author could have gotten to the main point a lot sooner,” and “Why don’t theologians ever write books for pastors?” My sense is that pastors yearn to participate in the wider theological conversation, but do not want to have to fight their way in. Any of us could generate a dozen ideas for how pastors can be helped with their theological reading. Seminaries could provide bibliographies—and, possibly, “book reports” on specific theological works—on-line. Pastors could form reading groups that meet weekly to discuss and encourage one another. 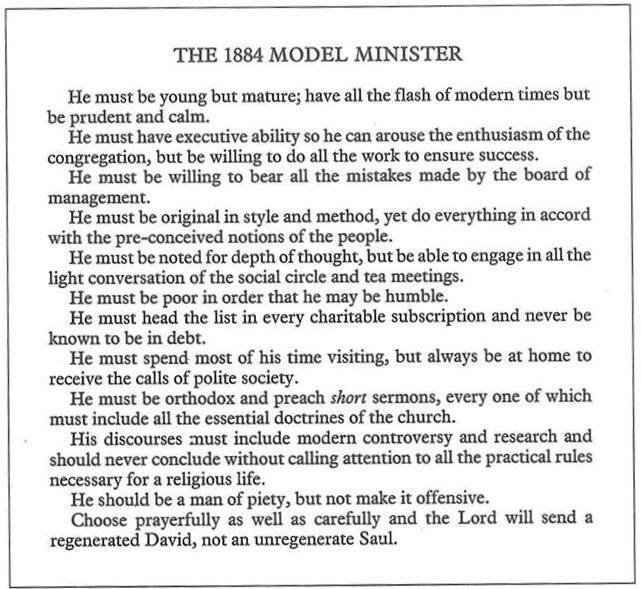 Churches could include a weekly “reading day” in pastors’ job descriptions (try not to laugh). Theology professors might help pastors strategize on how to read particular theologians, given their different emphases, styles, and contexts. For example, a professor might advise: (1) Be sure to keep a pocket dictionary of philosophical terms on your desk while reading Tillich; or (2) Don’t worry, when reading Barth, if your mind wanders, here and there. Let his words wash over you like a piece of music by Mozart . . . eventually, he’ll come back to whatever point you missed; or (3) Don’t immediately assume Gutiérrez is wrong, just because you don’t resonate with his argument. Allow him to let you “see” what theology looks like from a Latin American context. While any of these strategies might be helpful in managing symptoms of the problem, I wonder if there is not also a need to address what underlies feelings of being overwhelmed, concerns about having too little time, and fears about wasting time on words that don’t have immediate application to the “real world” work of ministry. As helpful as “how-to” advice can be, I have come to believe that the fundamental problem pastors have with reading theology is not a dearth of information regarding what and how to read, but an absence of the conviction that the theological conversation is their conversation. In the remainder of this brief essay I will propose four points for reflecting on “how to read a theology book” that focus less on the doing of the reading and more on our being as readers. Instead of pushing you to “just do it” (read theology), I reflect on what it means to “really be it” (a reader of theology). The theology of the Reformation, in contrast to our cultural wisdom, teaches us that we don’t create ourselves by doing. Nor does what we do (or not do) always reveal who we are, for we are sinful. Rather, what we do is to proceed from who we are: beloved children of God; brothers and sisters of Christ. With this in mind, I suggest that the fundamental strategy for reading a theology book is to engage it as those who: remember who we are; revel in the richness of our inheritance; converse with our fellow heirs; and create with Christ as partners in the ministry of reconciliation. Let me explore the four facets of this strategy in greater detail. But how do these affirmations come into play—practically speaking—when we pick up a theology book and steal an hour to read? If we think of reading theology as something we do outside of community, as a kind of hunting for provisions to bring “home” to our congregations, it is no wonder we’re frustrated when the hunt seems unsuccessful! 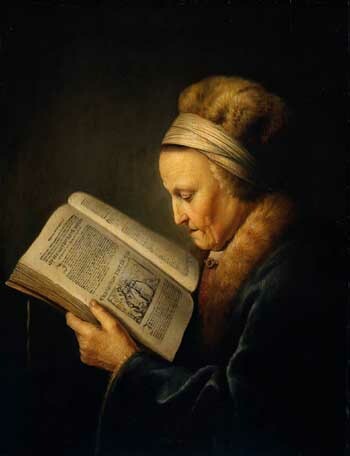 In actuality, to spend an afternoon with a text like Calvin’s Institutes is not to close ourselves off from the community in order to “study.” Rather, it is to be intentional about creating a space to develop an intimate relationship with a fellow seeker of understanding, a crucial member of the community of faith. As we read, we hold in our hands a tangible link to brothers and sisters in Christ from “unseen generations.” Like the bread that joins us to those who partake in different times and places, so the theology book has a sacramental quality—participating in a reality larger than the sum of the meanings of the words inside. I wonder if pastors neglect their theological reading because, on some level, they understand it to be in tension with their calling to be with people. If reading a theology book means leaving the community behind or sitting in the proverbial “ivory tower,” it’s no wonder that ministers—and their congregations—are hesitant to make it a priority. But what if we were convinced that to read theology was to sit in the midst of the community, inviting the saints separated from us by time and space to enter into the circle with us? 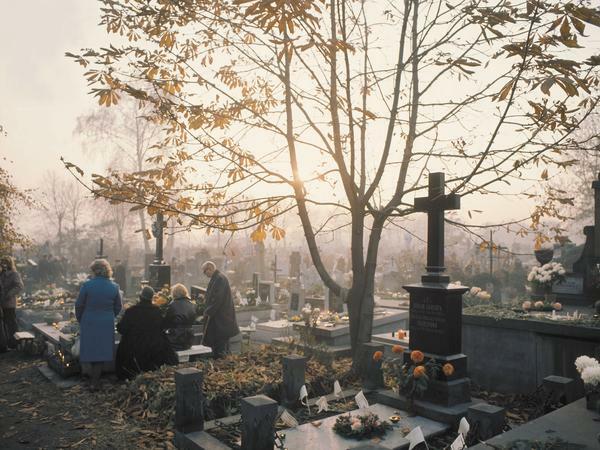 When we read as rememberers of who we are in relationship to others, our communal life is enriched by the physically absent who are really made present. Theological books abound, it seems. Many pastors, like Browning, have inherited box after box of dusty old books. But how many of us have heard them beating under our pillows? We might approach our theology books with dread, rather than joy-full anticipation, because we are afraid they might defeat us in our struggle to read. With no intention to “nibble here and there”—but only to succeed in our mission to conquer—we are back on the hunt. And who can fault us, in our competitive context, for setting our sights high? For wanting to master the material? Recognizing that it is impossible to read every word of every book, students sometimes ask me to help them formulate an attack plan. Perhaps seminaries should offer courses in speed reading, some have suggested. That way, graduates would have some hope of keeping up once they leave seminary and take a church. Drawn by Browning’s curious and playful spirit, I suggest that the “divide and conquer” approach to reading theology should be resisted. I wonder, instead, if “remembering” who we are as members of the Christian community can inspire us to approach our books with a spirit of revelry—knowing that the point isn’t to learn it all; loving how much theology there is; immersing ourselves in it. When we pick up a theology book, we might imagine ourselves sitting in a room full of the treasures that are our inheritance, basking in the wonder that we can’t begin to count how much there is. When we engage in our theological reading, we might envision ourselves encircled by colorful friends we can spend a lifetime getting to know. The goal of our reading, then, is not to master, control, or conquer, pleading for understanding whenever we haven’t done what we know we should do. Rather, it is to live into our identity as members of the body of Christ: to enter into relationship; to revel in the possibilities; to open ourselves up to the great cloud of witnesses that surrounds us; to hear the pulse. As rememberers who sit in the center of the circle and revel in the riches that surround us, one of our greatest joys is to enter into the conversation. To read theology books is not like entering a museum, where we might work our way around from display to display without feeling the need to announce our presence or opinions. On the contrary, if reading a theology book is about developing a relationship with a brother or sister in Christ, our active participation is required and desired. When we read a theology book, we are being called upon to make a thoughtful contribution to the circle itself. Eager to engage the circle of witnesses who surround us, we should avoid reading theology books Siskel-and-Ebert style. The “thinking” which Locke advocates would shrivel from self-centered declarations about whether we agree or disagree with the author, or whether the book “works” for us. To offer a simple “thumbs up” or “thumbs down” in response to our theological reading is, again, to fall into a “hunt and conquer” rather than a “remember and revel” mentality. Remembering who we are in relation to the authors of the theology books who surround us, we make theological ideas our own in the context of conversation. “Talking with” our theology books, then, requires committed attempts to understand what the other is saying, even when we disagree. It involves asking questions (OK . . . a bit difficult to do when you are reading a book and not talking to a “live” person . . . but try writing them in the margins and see if the author addresses them later). It respects the other enough to argue, rather than conveniently dismissing. As we think about what we are reading, conversing with the witnesses who surround us, we will find that we are being shaped and molded in our Christian convictions. We begin, then, to read theology not only with the hope that we will find ideas for our next sermon or lecture series, but with the expectation that we will, indeed, be changed. We read theology as creatures called to participate in God’s work of creation; as partners in the ministry of reconciliation and as ministers charged to tend the sheep of God. But the charge to join in God’s ongoing creative work comes with a reminder: We are creators not as God is Creator, for we create only as creatures. Our creative ministerial acts flow not from omnipotence or a never-ending store of Wisdom, but from the reality of our own ongoing creation. The replenishing of our resources that we seek when reading theology will not translate into effective ministry unless we ourselves are replenished. For theology books to get our creative theological juices flowing, we have to be created by them. And if we ask the reasonable question—how can we be created by a mere book?—it’s time to go back to remembering. Theology books are not only books, but vehicles through which we enter into relationship with the communion of saints. Theology books are not to be attacked, and finished, and evaluated, but participated in, and conversed with, and nibbled again and again. When we read theology in this way, our reading becomes less a matter of “something I work into my schedule because it’s important” and more a reflection of who we are. Reading theology doesn’t make us theologians; we read theology because we are theologians. As those who are called to speak words about God, how can we do otherwise than remember our relationship to the saints, revel in our inheritance, converse openly with one another, and create out of our ongoing re-creation in Christ? However we go about the logistics of our reading, let us seek to live into the truth that theology books are God’s open-ended invitation to join in communion. to help this heavy body into the ground. others who are stronger and weaker will have to do that. others who are weaker and stronger will have to do that. if they didn’t do that? and take care of the words. so long as they agree to obey him. so the words will know where to go. – Anne Stevenson, ‘The Minister’, in The Collected Poems 1955–1995 (Oxford: Oxford University Press, 1996), 62.